And get ready for glorious spring colour. This is one of the simplest, most satisfying jobs in the gardener’s autumn calendar, and it’s always exciting to think ahead as to how your easy bit of daffodil planting now will look in six months’ time! 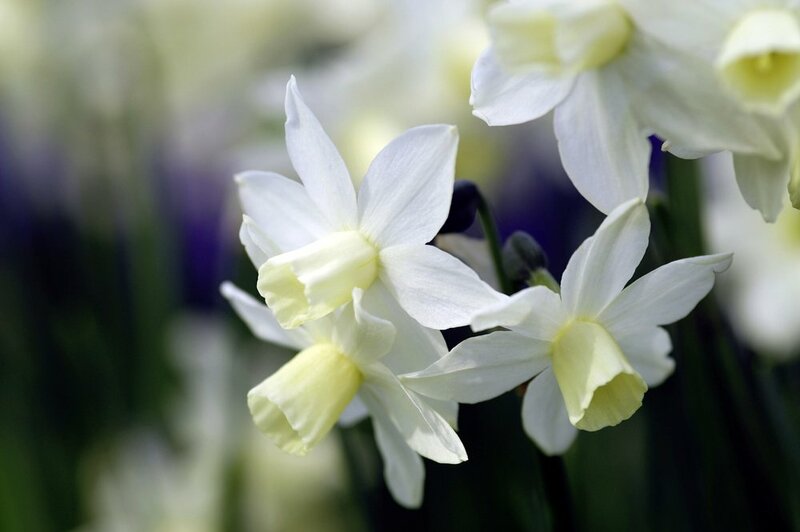 It’s all in the planning and design – decide whether you want large swathes of bold colour from big, brassy daffodils, or small clumps of gorgeous scent and dainty blooms from smaller-growing narcissus species and varieties. ‘Daffodils’ are usually the larger hybrids with no scent, while ‘narcissus’ are commonly miniature species or varieties with fabulous scent. These smaller mini daffs usually have the more interesting flower shapes and look great in rockery plantings, window boxes, in containers planted close together, and as front of border beauties. Larger daffs look great planted in bunches in borders or lawns as sunny harbingers of bright garden colour to come!